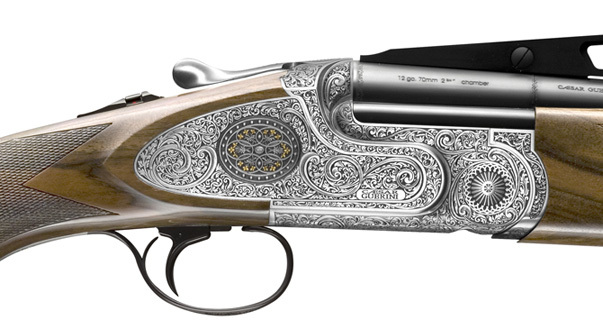 At Caesar Guerini we have a driving passion for innovation and elevating the gunmaker’s art, and this commitment to quality has produced the new Apex. It has distinctly British lines with a classic Prince of Wales grip and our trim, rounded fore-end, but what really sets this gun apart is its revolutionary new full-length trigger guard. We’ve eliminated the screws for a clean, seamless look, and the end of the guard terminates in a perfectly fitted skeletal grip cap for a touch of elegance. 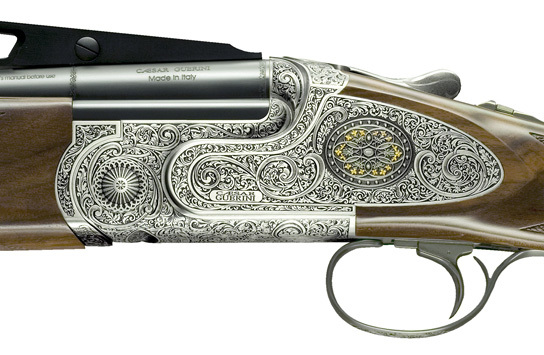 The action is embellished with full-coverage engraving that incorporates no fewer than four different techniques, and the frame’s hand-polished coin finish is treated to our new Invisalloy® coating, which makes the metal rust-resistant while enhancing the contrast in the engraving. 6 lbs. 2oz. to 7.0 lbs.